Island Voices was a community-based Artsreach project and part of the Tide and Time initiative, exploring the theme of change in coastal communities throughout the south-west of England. Island Voices was led by Paul Hyland, travel author, biographer and poet, Sammy Hurden, musician, songwriter and voice workshop leader, and Nicola Richardson, writer. The project began aboard the prison ship, HMP The Weare, and at the HMP Young Offenders Insitution on Portland. 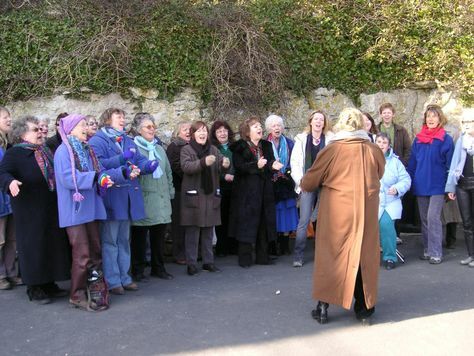 It continued with writing and singing workshops at Reforne and Fortuneswell on Portland and at Langton Matravers in Purbeck. The biggest thanks are due to the writers, singers and musicians who created fiction and non-fiction, poetry and lyrics (set to music by Sammy Hurden), and performed the work at concerts in St George’s Church and above Church Ope Cove on Portland, at Durlston Country Park and Langton Matravers Village Hall in Purbeck, and at the Phoenix Theatre, Exeter. 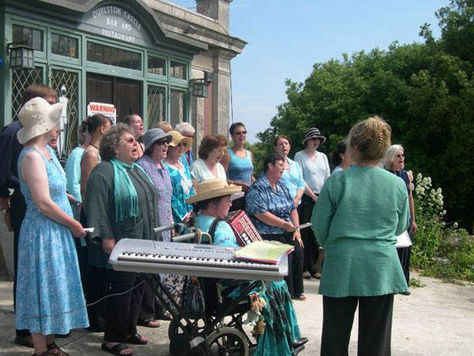 The legacies of Island Voices are a publication of the writing and CDs of the Portland and Purbeck performances, of which limited copies are available from Artsreach. A Portland Island Voices choir continued to go from strength to strength after the project finished, with new songs and invitations to perform at various events in the region. The project was made possible by funding from Arts Council England South West, the Esmée Fairbairn Foundation via the National Rural Touring Forum, Weymouth and Portland Borough Council and the South West Foundation.